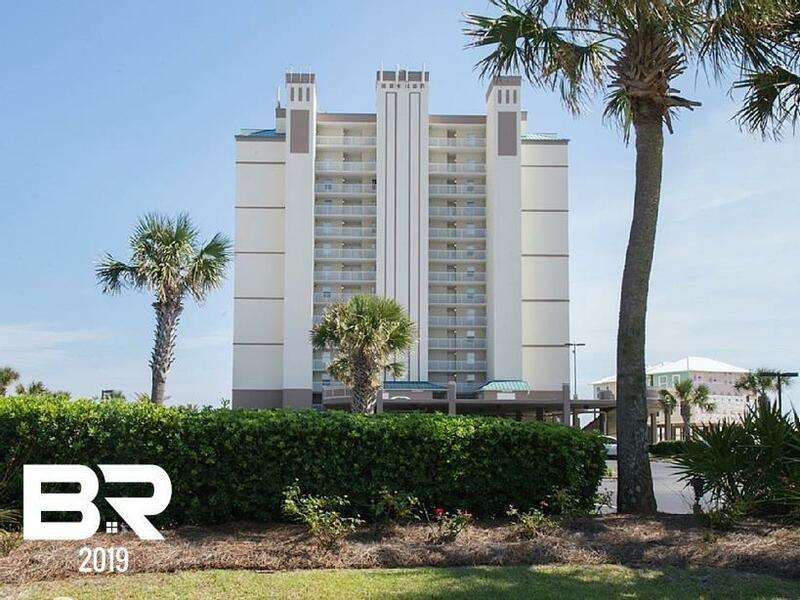 Royal Palms is one of the most popular buildings along the beach in Gulf Shores ,b i located along the boundary of the Gulf State Park Beach giving awesome views eastwards towards the Pier and direct gulf views from every unit. Slightly older than some buildings it does have all the amenities people desire on the Gulf, Steam & Sauna rooms, workout room, communal space for meetings , BBQ area, indoor and outdoor pools. Unit 1007 is on the 10th floor offering impressive views of the Gulf and of the beach east and west from the half moon shaped balcony, a feature not all units have. Tiled throughout and well presented this unit has been an excellent revenue stream. The master bedroom has its own ensuite shower room, there is a 2nd full guest bathroom, bunks in the hallway and a sleeper sofa so accomadates 6 quite comfortably. Great location on the beach a must see for those looking for a great 2nd home or investment. Directions: From Hwy 59 ( Gulf Shores Pkwy) Turn Left ( East) At The Hangout And Royal Palms Is The Last Building On Your Right On The Beach Side Approx 1/4 Mile From The Gulf State Pier.